The OAV B-ZOOM is an On-Axis Video-microscope with a hybrid zoom system used for parallax free observation of micrometer sized crystals. It is optimized for MX crystallography beamlines and high throughput stations in Synchrotrons. 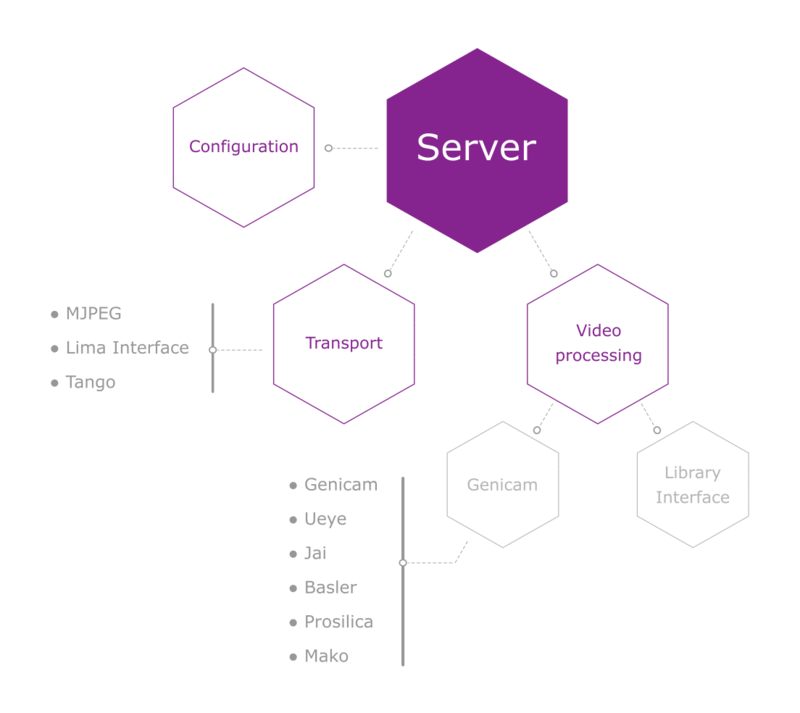 The OAV B-ZOOM is the next evolution of the OAV Ultra-Zoom: it combines the EMBL patented Objective Head of the OAV with a new zooming and visualization module, allowing instant zoom change and integrating a multi-camera video server. As its predecessor, the OAV B-Zoom is equipped with the objective lens system developed by the EMBL-Grenoble instrumentation group. The lens system has a central hole, coaxial with the optical axis, by which the X-ray beam passes through. This way, the OAV B-Zoom provides an on-axis visualization allowing in situ perfect alignment of the sample. The hardware offers x5 and x30 optical magnifications, a numerical aperture of 0.28 and a working distance of 34.8 mm (31.8 mm if a protective glass is added). Operated with powerful video cameras, the OAV B-ZOOM provides excellent optical performance, with a resolution of 0.16 µm/px @zoom max and 1.9 µm/px @ zoom min. Consequently, the OAV allows distinguishing objects as small as 1 µm or even smaller under optimal conditions. The OAV B-Zoom associates two video cameras, one for a « low zoom » level, and the second for a « high zoom » level. 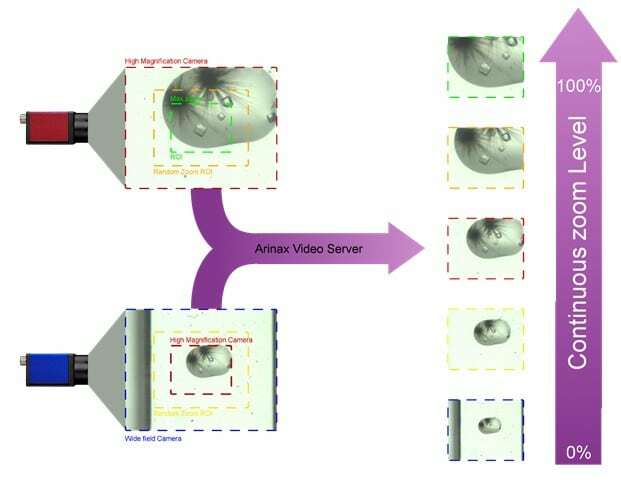 This Hybrid Zoom Setup uses images from both cameras to emulate a single camera equipped with a zooming device. With this setup you can switch between any zoom level instantaneously. This configuration is especially well suited for highly automated end-stations. On modern high-throughput beamlines, zooming frequencies of 200 times per day or even more are common. Without motorized mechanics, the OAV B-Zoom is far more reliable than other systems and its instant zoom allows for faster operation. The zoom level range of the virtual hybrid camera (with 1280 x 1048px) is x2.5 to x30, giving a x12 range. It is possible to go beyond 100% by using up-scaling (interpolation). Compared to the previous motorized OAV system, the OAV B-ZOOM presents wider range and field. In addition, the OAV B-Zoom provides a series of pre-configuration zoom levels between x2.5 – x12 and between x20 – x30, for which average sharpness is better. 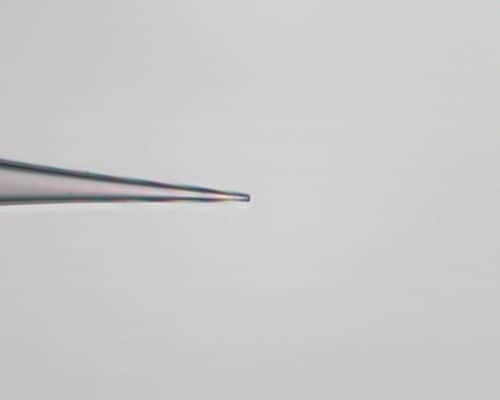 Example of four zoom levels obtained with the OAV B-ZOOM, Pictures of a needle with 1µm tip inner tube. Zoom level 1 of the OAV B-ZOOM on a 1um needle. Picture scale of 1.9um/px. Zoom level 3 of the OAV B-ZOOM. 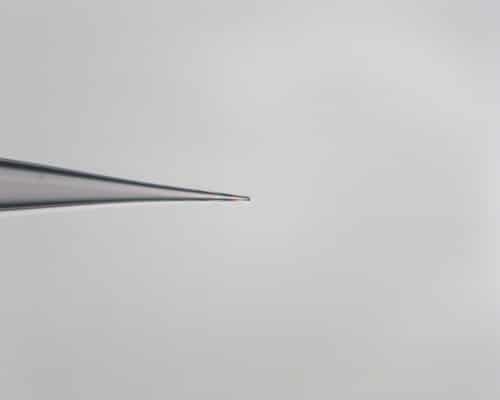 Picture of a 1um needle. Picture scale of 1um/px. Zoom level 5 of the OAV B-ZOOM. 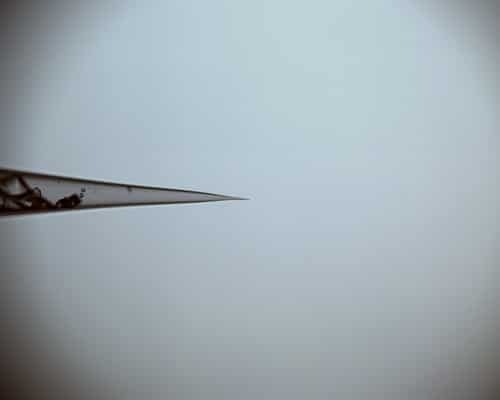 Picture of a 1um needle. Picture scale of 0.32um/px. Zoom level 8 of the OAV B-ZOOM. 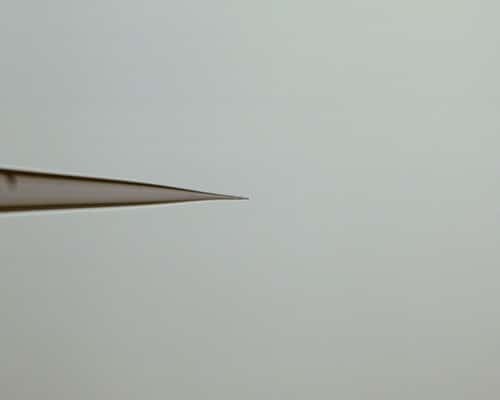 Picture of a 1um needle. Picture scale of 0.16um/px. Output image size 1280×1024 px recommended. Configurable.